The issue is that most people don’t. And those that get it a little more than others, have picked it up as they’ve gone along. Others have been inspired by feeds they love and further Instagrammers have created something entirely unique from their own creativity. But what makes a beautiful Instagram is totally up to personal opinion. Some of my favourite Instagram feeds are mainly black and white with cool tones and small splashes of neutral colours. Others are filled with hi-resolution photographs from exotic locations far and wide, whereas others are compiled of flat-lay detailed images. We will go through all of this photography jargon within this post, so hold tight. 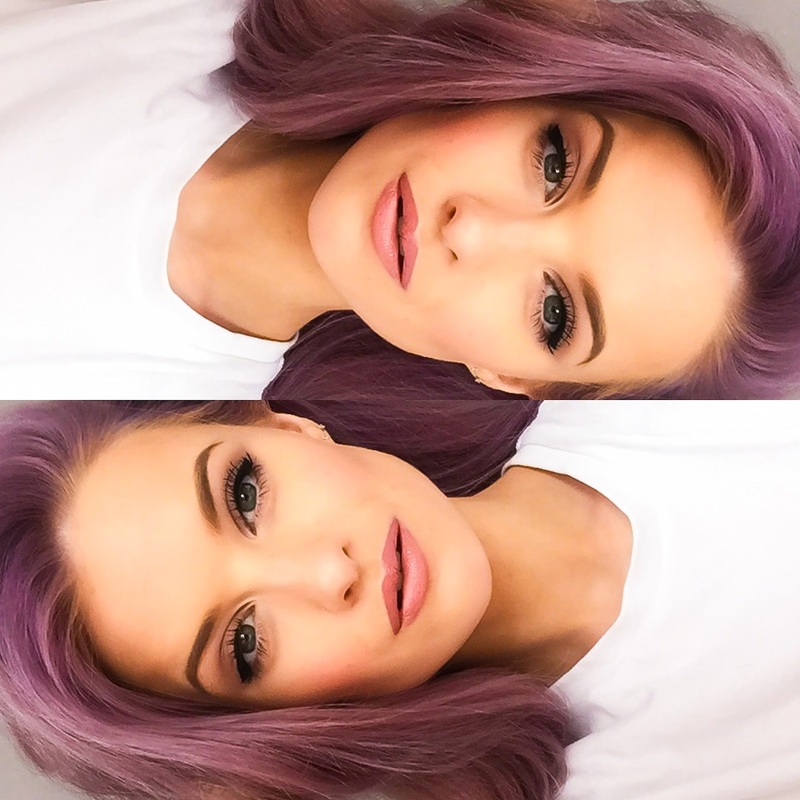 My Instagram is totally different to the feeds that I personally adore, filled with saturated colour and a mixture of makeup and hair close ups to my newest pair of shoes, but it suits my style, and I guess we’re here to help you find yours. 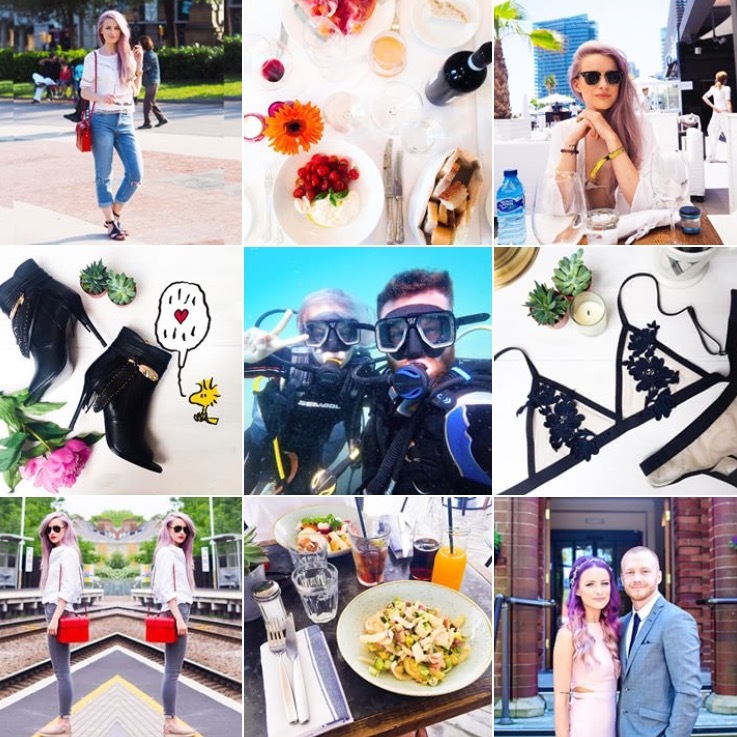 Whilst this post is not for the purpose of instructing you as to what photos to post, and in what style, I can at least try to help you get a little further ahead in the Instagram game and find your own theme. Here are my top tips for creating an Instagram that looks pretty darn good. Whilst you might care for and love the sandwich you had for dinner, your followers might not. Especially if you have just taken a quick snap without thinking about your lighting, the positioning of your subject and the overall composition of the photograph. 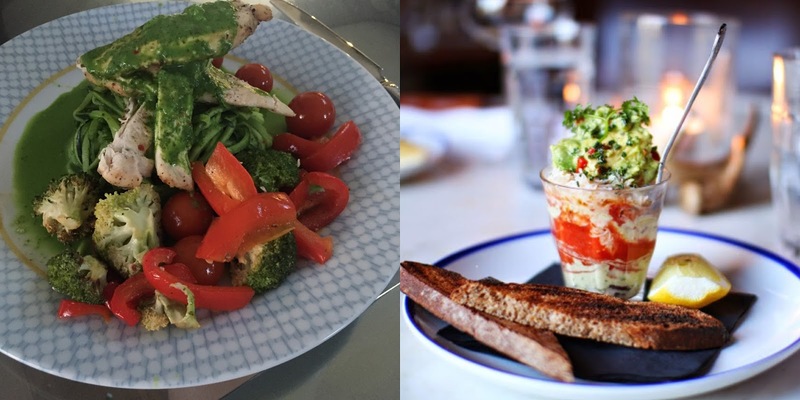 Below are two images that I took, one as a quick snap to remind myself of a dish Alex put together, (it was far more delicious than that photo gives it credit for, I promise), and the other was for the purpose of posting a food review here on Inthefrow. Which one looks more appetising and beautiful? Just take a few extra moments to set up your subject correctly, remove any unwanted objects in the photograph, check your lighting is correct and that the angle you’re shooting at sets off your subject in the most flattering way. More on all of this below! Then when you have taken a few shots, go through and select which one looks the most appealing and professional and begin your edit (if it needs it). Composition is the fancy word for how you arrange and organise elements of a work of art, be that a photograph, a painting, a sculpture, a still-life art arrangement etc etc. It just relates to how you lay out and organise the ingredients, so to speak, of the photograph. Below, I took this photograph in Greece of my delicious breakfast. 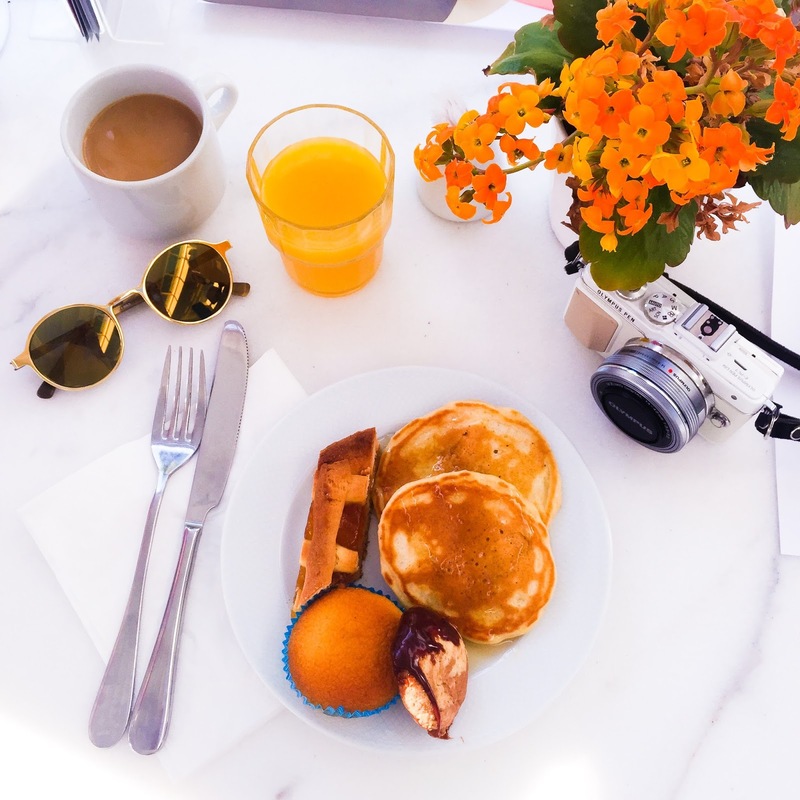 I had my Olympus Pen camera there, which fit in with the white theme I was going for, whilst the gold in the glasses, orange of the flowers, the yellow in the orange juice and the beige of the pancakes all complemented each other beautifully. I just had to lay out the elements of the photograph to look the most attractive and choose the most suitable angle to take the photograph. Generally, food shots work well when photographed from above, especially when it comes to full table settings, so I worked with the presentation of the table before taking the photograph. Yes, you cannot tuck into your pancakes for around 3 minutes, but it’s worth it for that beautiful shot. 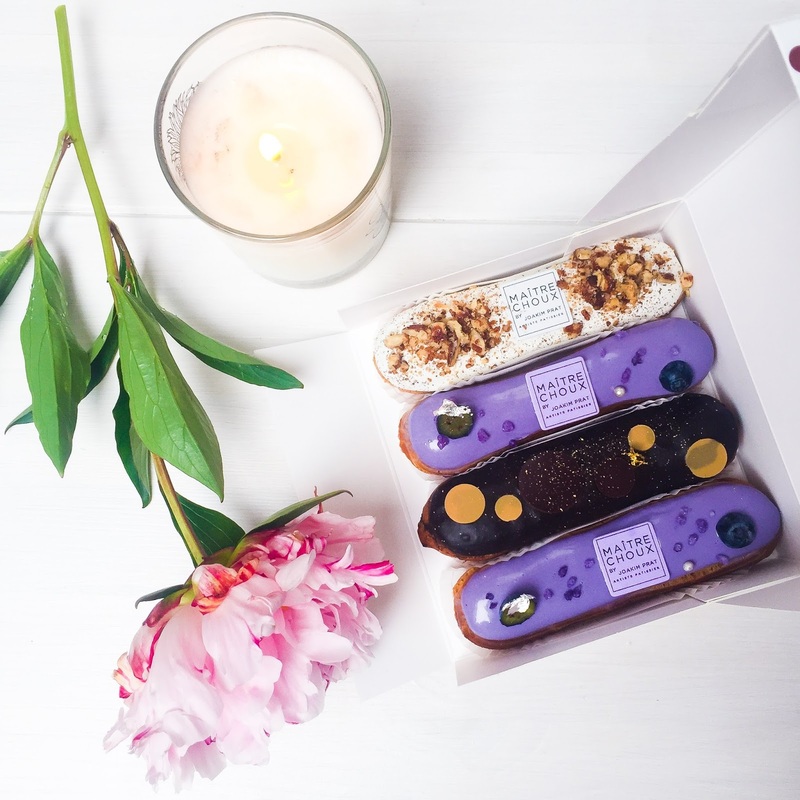 Next up I had a beautiful box of Eclairs sent to my flat for tasting. They looked too good to eat, and of course they were perfect for my Instagram feed. Whilst I could have photographed them lying alone on the desk, I styled up the shot with a peony and a lit candle. It added more colour and created a more interesting layout. It became a lifestyle shot, creating a reflection of my workspace and potential interests, rather than just a plain shot of a box of eclairs. Small touches can really make a difference. Working with textures, angles and colours. Again, playing with colours, using the whites and burgundy tones to complement each other for a bright and vivid palette. Now, whilst I love my Instagram to be filled with over saturated and uber vivid imagery, that is not always to everyone else’s taste. I suppose I went for bright and vivid, as firstly it suits my hair, and secondly it suits my personality. I love colours to really pop from the page, so I make sure to edit my images with added saturation. More on editing below. 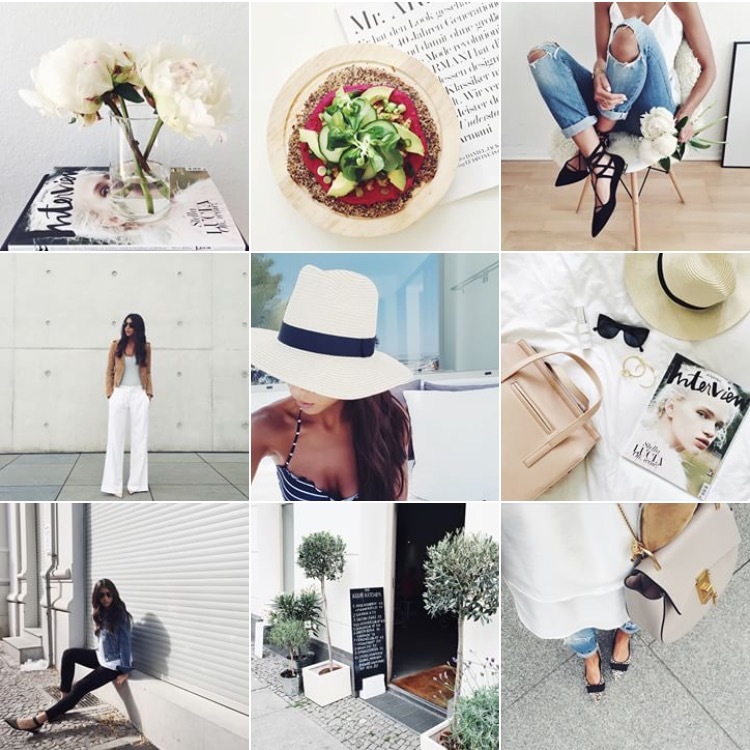 Yet, selecting your own colour palette for your Instagram could be the crux of your feed. 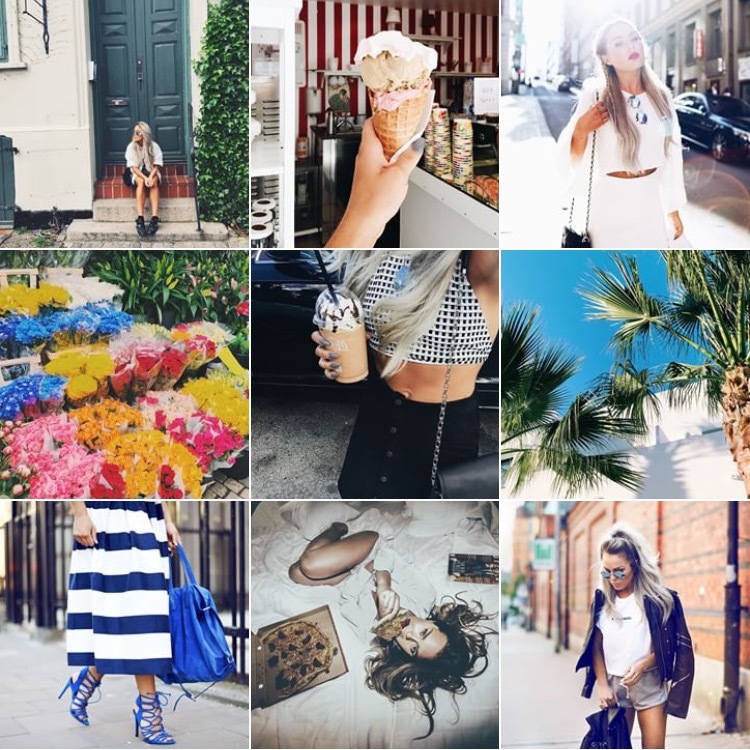 One of my favourite feeds for tonal perfection is @stylonylon. Julia is a lady with impeccable taste and that transfers over to her Instagram seamlessly, where she posts beautifully composed imagery in a cool toned palette. Using a variety of applications, she will edit her photographs to include filters and lower amounts of saturation, to create a feed of images that sit together as a story. The tones don’t jump from saturated to desaturated, or warm tones to cool tones, but rather, work as a set of artwork, side by side. It is worth playing around with image editing applications to find what colour palettes you personally prefer, and which suit your photographs more. 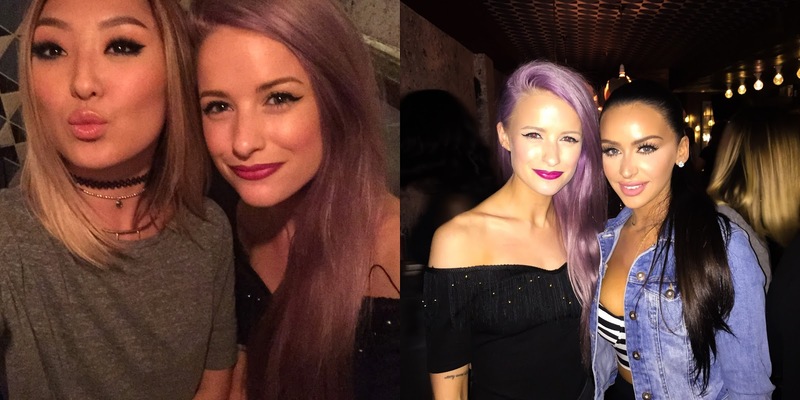 I’ll be honest with you, if I ever choose to go back to platinum blonde hair in the future, my Instagram feed will become ashy and cool toned, because it will match my hair colour. This may sound ridiculous, but when every one in two images on my feed is generally of myself in some sort of situation (long shot, head shot, makeup shot, selfie etc), everything has to tonally complement each other. Yet, if you are a fan of a particular colour or tone, or prefer saturated images also, then perhaps try that out for yourself. A lot of people have said that they recognise my images, because they usually have a lilac filter and tone and perhaps you could find your niche too. 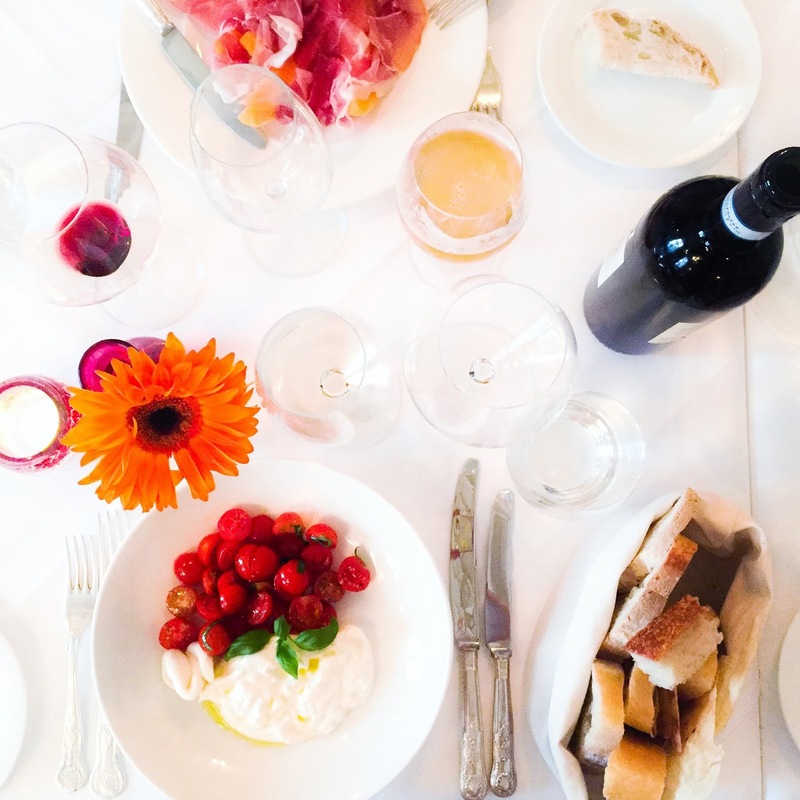 Taking your Instagram photographs on your phone, is totally fine. Great in fact. I’d say that about 65% of my feed is made up of iPhone taken images. But that is usually on an iPhone 6, that is known for having a much better camera. An older phone won’t take as vivid and sharp images. But you can still make it work, if you have the right lighting. See point 5 for that. But if you did want to create a story of images that really show what you can do, I would potentially play around with adding photos to your Instagram that you have taken on a camera. It took me so long to start transferring images over to my phone to edit and post on Instagram, but as soon as I did, I noticed a huge difference in quality and style. They don’t all have to be taken on your camera, but mixing up phone taken snaps and camera taken snaps can just kick your feed up a notch. The higher the resolution of your images, the higher its detail and quality. A lady who’s feed is filled with a mixture of phone and camera snaps is Angelica Blick. A fashion blogger with amazing hair and even better eyelashes. 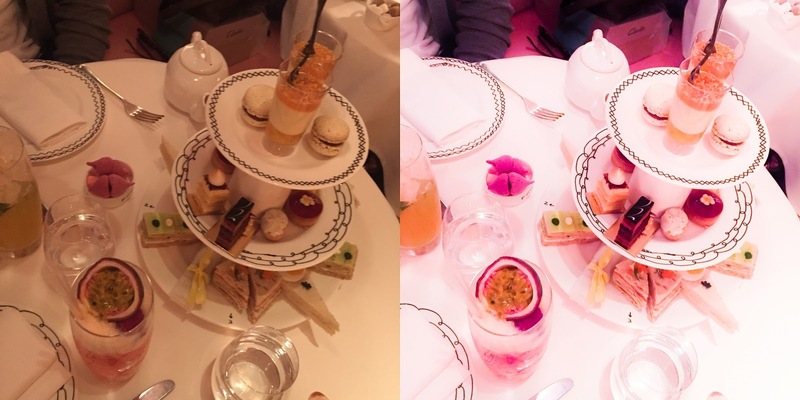 But she mixes up her Instagram content between what she is currently doing, taken on her phone, to photographs she may have taken for her blog, in high quality, with amazing depth of field, perfect lighting and wonderful colours. 99.9% of times, you cannot take a good photograph with bad lighting. Even if you’re going for a dimly lit scenario, where most of your face is in shadow, and a slither of your face is lit by sunlight, you’re still using the lighting to your advantage. But if there is no light, you don’t have any control whatsoever, and your camera will struggle. This is where your images will become noisy, fuzzy and sharpness reduced. For that reason, most people will take their photographs in the daytime, especially at the golden hour – that hour right before the sun is high enough in the sky, and right before it sets for the evening, it casts a golden tone and creates the perfect lighting for fashion photography. You can also play around with the sunrise and sunset, bouncing it off of objects to create lens flares, pops of light and silhouettes. Like the two images below during a sunset in Barcelona. Yet, taking images in the day is great too, just bear in mind that taking images at 12 in the afternoon will cast shadows right down your face, as the sun is directly above you. 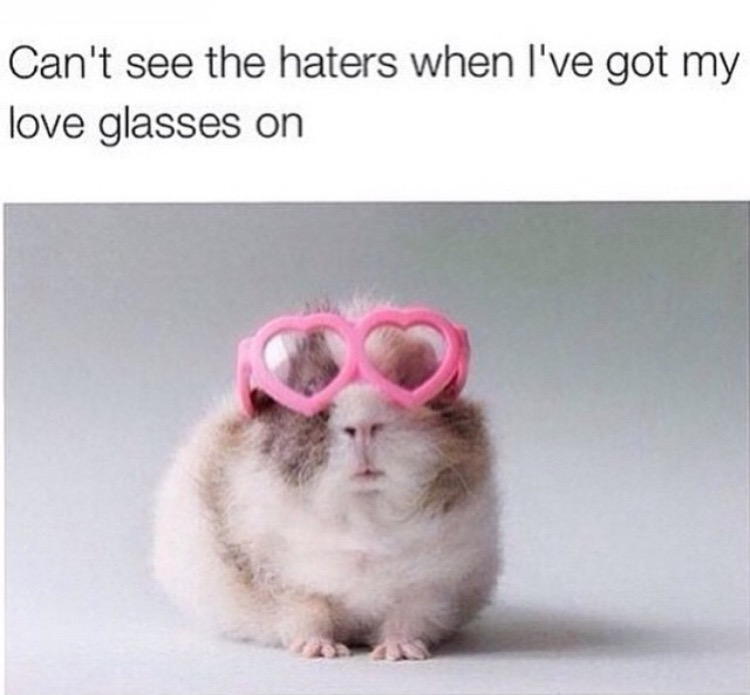 It’s not overly flattering. It’s best to have the sun facing you, when it is at around 2-3pm, where it can reduce shadows and light you perfectly. But even better is the golden hour, as I mentioned. In some cases, your images may have just enough light for you to rectify the problem, allowing you to use your editing apps to enhance the lighting and exposure. For the image below, I increased the exposure dramatically, to enhance the white shades in the photograph. I also increased the contrast so that the shadows and darker colours were lifted and I reduced the warmth, to try to remove as much yellow as I could for my cooler toned feed. But there are some cases where the lighting really isn’t salvageable and you can’t bring the image back to life. An example I found in my phone was this one of my and Fashionista804, Sophia Chan, who I met in London recently for Beautycon. We were in a badly lit bar, with no spotlights and as we were taking a selfie with the front camera, we couldn’t use the flash. I couldn’t post the image as I’m far too fussy to post such a noisy photo. Due to this, I then had a photo taken with Carli Bybel, this time with flash, and although the colours are fairly harsh due to the brightness of the flash, it was 100% better in terms of colours, sharpness and having enough detail to allow me to edit it to a usable condition. One tip for noisy images though, is to buy the Reduce Noise filter in the Photoshop Express app. Just by adding a bit of noise reduction, it can smooth out the colours in your image, reducing the noticeability of the noise and bringing that one time image up to a usable standard. For anyone taking images at home though, use lighting to your best ability. If you have soft boxes or ring lights, then you’re set, but otherwise pay attention to where the light is coming from, and position your subject right in front of it, and just experiment with how the light is hitting your subject. Try to not use flash if you can help it. Oh and for selfies, get right in front of your window so that you’re facing outside, as the lighting will be so much more flattering. It surprises me still, how many people have never heard of the Photoshop Express app. Ask them what they would edit images on on their computer, and 95% would say Photoshop, yet they never thought to look for the app. Well, that is my weapon of choice. It’s easy and does everything you could possibly want. For example, the image below, I increased the exposure to make it brighter, upped the contrast to pull out the darker colours, raised the saturation to bring out the rose gold and sharpened the image so it looked high quality. I would never have posted the unedited image as it looks bland, boring and uninspiring. The edited images looks much more appealing just from a boost of exposure and contrast. Another app to mention would be Snapseed. Those are the two that I use, though I know a lot of people also use Afterlight and VSCOCam. It’s all down to preference and which you find easier to work with. Snapseed is just useful for altering individual colours on a photograph, as well as altering the warmth, saturation, contrast and brightness of your image, pretty much the same as photoshop. But Snapseed does allow you to select individual points on your photograph to enhance in colour or tonal sections. 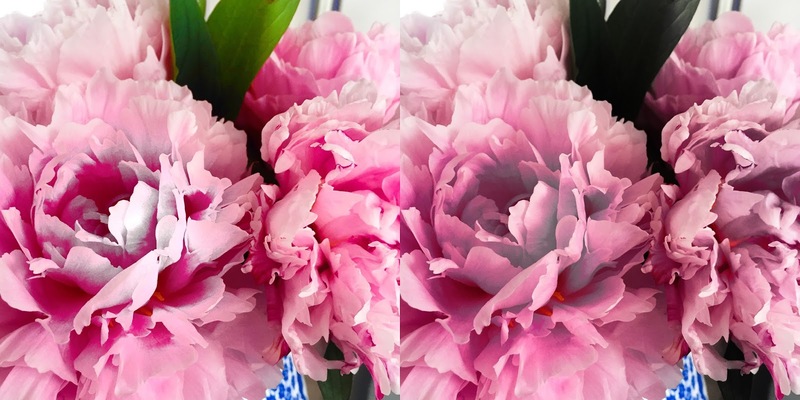 See the image below I took of my beautiful peonies. I was able to select sections of the images to change the specific colours, using the ‘Selective’ tool. Its perfect for those times when you need to brighten your face or saturate your jacket but don’t want to oversaturate other bright colours around you. Whilst you might be the kind of photographer, blogger or instagram lover who prefers single images, laid out side by side with your subject perfectly centred or otherwise, sometimes people like to mix up the composition of their image and play around with the layout. Often I will do this if my image was taken portrait, and will not quite fit me into a square without cutting off my feet. Im not willing to post an image on my feed without it being perfectly square, so I have to use other means to post a particular image. Below are a few examples. My favourite layout app and the only one you will need is Moldiv. You can change the shape of your final image, square, rectangular in different dimenstions, create a grid of two images, four images, up to around 9 images, and you can mirror an image, so it looks as though you are stood looking at your body double, or like me, that youre standing back to back. Alternatively, if youre not one for the mirrored look, you can choose the include three of the same image, move the sides of the middle image to fill most of the square and play around with the two side images so that they look almost like an elongation of the original image. Like below, I had an image that didnt quite fit a square, so I added the same image to the left and right, zoomed in a touch and played around with which section of the image was showing, so that is almost looks as though the image continues to fill a full square. Or if you’re being extra fancy pants, flip your images sideways and mirror them horizontally. It’s up to you how you want to lay out your images, but this type of layout is used quite heavily by beauty and makeup bloggers and lovers. Remember that too much editing can ruin your photograph. You could edit a photo until the cows come home, until your face is a totally different shade, your skin looks like you’re made of wax and you look like you could camouflage yourself against the white wall behind you. Most professional images will take lighting, colour and a sense of realism into account, whereby they hope to enhance their images yet ensure they don’t look like they have been painted, illustrated or designed from scratch on Photoshop. 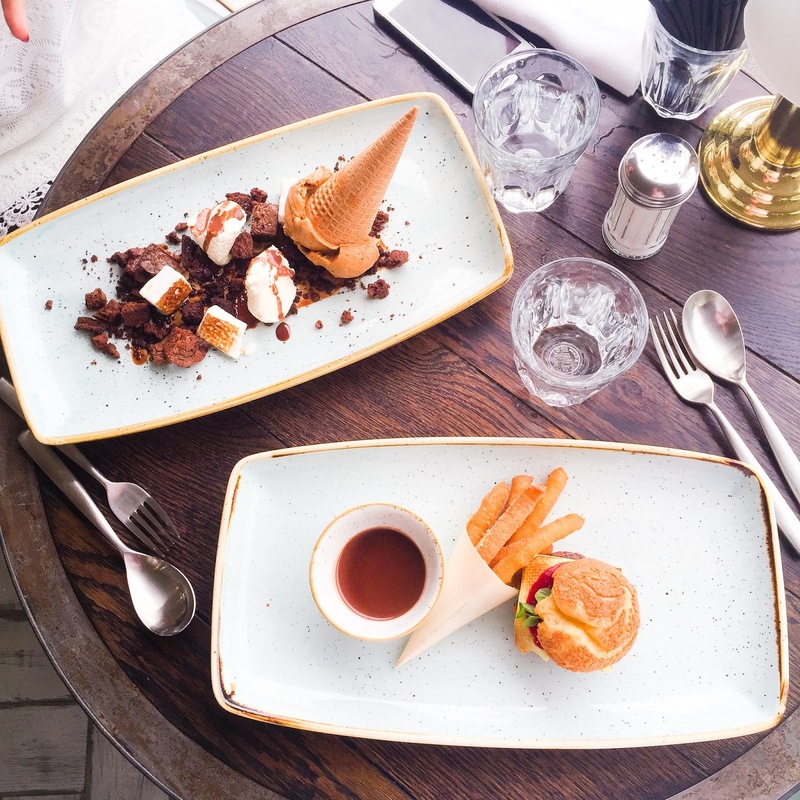 Whilst for some feeds, it fits perfectly, if you’re trying to put a fashion, beauty or lifestyle feed together, this sort of image might not be quite what you’re after. You don’t have to have a theme at all. In fact most people don’t. Yet, just having a colour palette is a theme enough, in my opinion. If someone can recognise your imagery style, then you have created something memorable and thematic. But if you wanted to go a step further, into laying out your Instagram in a certain style, then why not. Harry Styles has a fully black and white theme for his Instagram, whilst some Instagrammers won’t take a photo unless they have a white desk, wall or curtain to take it against. But when you look at their Instagram, it looks like a story of imagery. That sort of attention to detail can really help your feed stand out from others, and you’ll usually find that those with beautiful feeds will be the ones with over one thousand followers, at least. 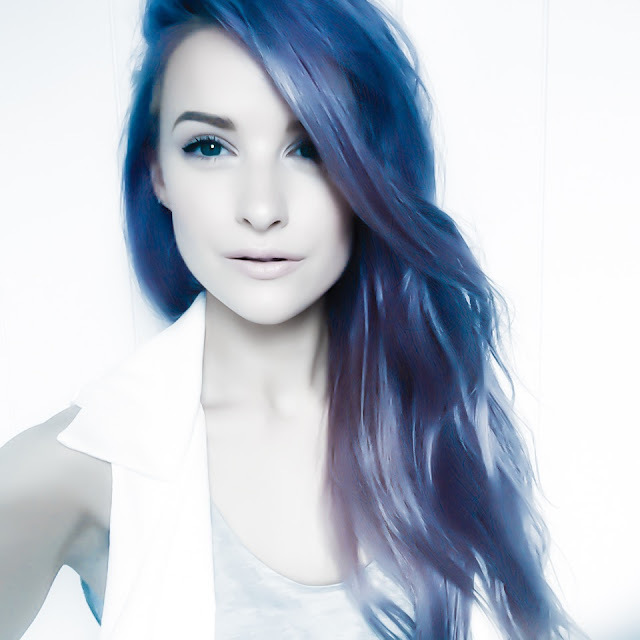 First up, heres me, of course @inthefrow. At the moment, I post a subject shot followed by a person shot, as I like to call it. A photograph of an object, flower, food, subject, followed by a photograph of me or someone else. It stops me from posting too many selfies or fashion shots, and reminds me to post more detailed shots of what I’m up to, what I’m eating or what I’m looking at. And like I said, my photographs have pops of saturated colour in quite a high exposure, so that the lighting looks bright and the contrast is high. 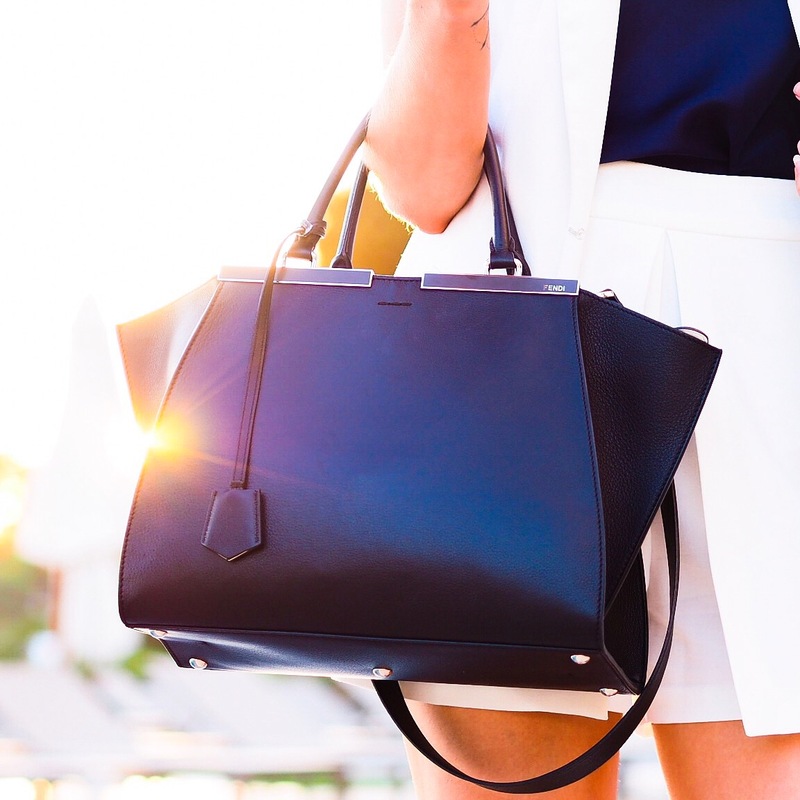 Heres another feed I love, from the loveliest lady, Kayla from @Notyourstandard. She fills her feed with warm and yellow toned images that are low in vibrancy with a neutral vibe. Mixing detail shots with full length outfits, flatlays of products and glimpses into her life, taken at beautiful angles and in wonderful lighting. Then there’s @TashOakley, an incredibly popular model, blogger and brand owner who travels the world looking like the coolest gal in the world. Her photos follow a similar colour tone and form a story of her travels. They look aspirational and cause an effect when she posts. Thailand, anyone?! I’m sure you have seen or heard of the bikini brand Triangl, especially on this blog and my Instagram, but their feed is a great example of how to do it well, for most other brands out there. It is themed, similar to how I theme my feed, with a body shot followed by a travel photograph. 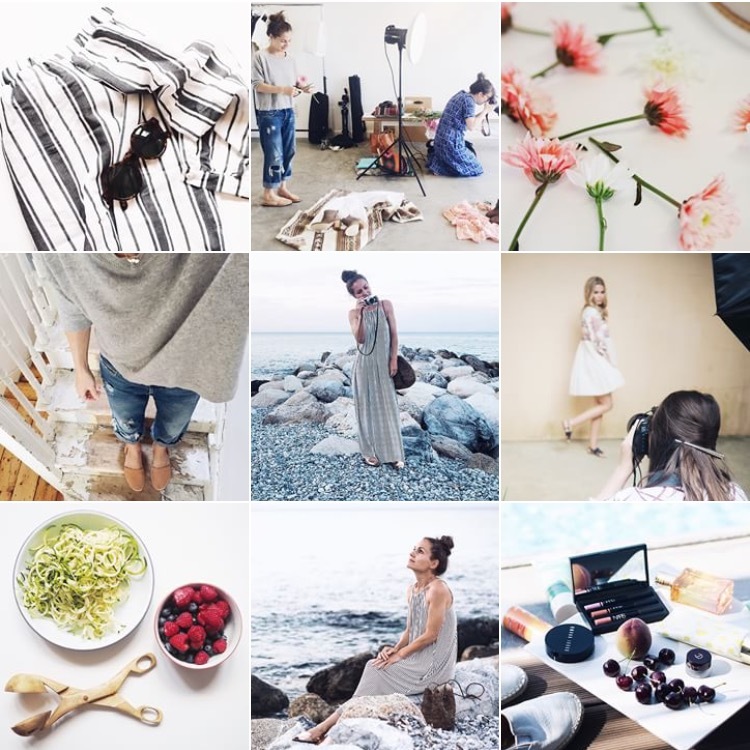 Breaking up the shots and creating an aspirational lifestyle and inspirational feed. The colours are kept consistent and the theme has been the same ever since day one. So, we’ve talked lighting, themes, image selection, composition, resolution, colour and editing, and now its up to you. I’m hoping you go away from this having learned at least one new trick and hopefully it’ll help to just refresh your feed a tad. If there’s anything I’ve missed, just leave me a comment below and I’ll add it in when I can! Happy snapping and come and say hey on Instagram whenever you like! 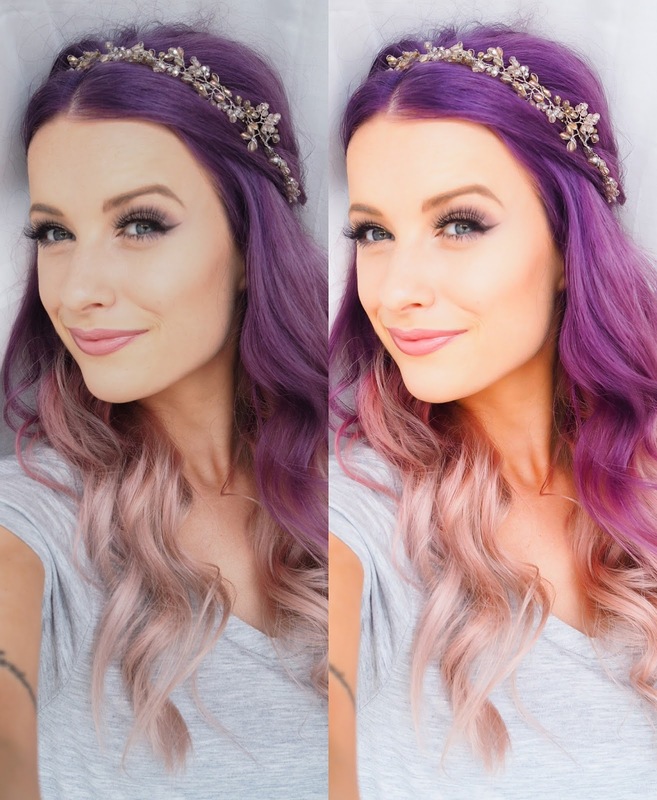 Find me @inthefrow!